Ian Fairweather first went to China in 1929, where he studied Mandarin in Shanghai for a short time. He returned there in 1935, this time living in Peking (Beijing), where he isolated himself from other Europeans and continued lessons in the Chinese language and calligraphy. 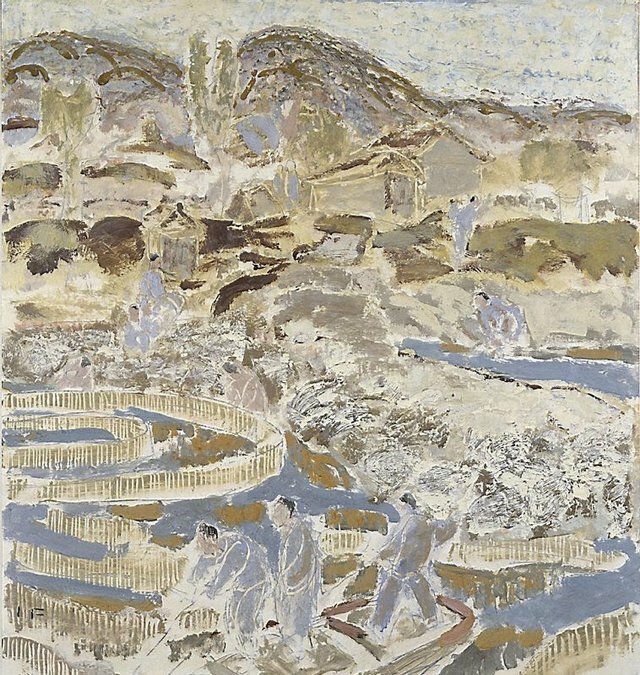 He spent much time drawing, as he had trouble finding paid work, and his impoverished condition meant he had to improvise with painting materials leading him to experiment with Chinese chalks, for example. 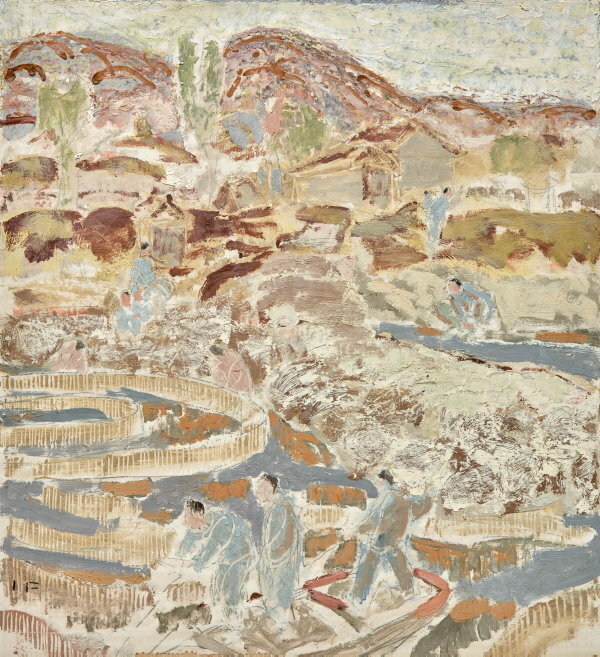 Despite his poverty, he managed to produce a number of landscape oils, including 'Landscape near Peking'. It is among very few Fairweather paintings of Chinese subjects actually painted in China, although he later made drawings and paintings from memory or drawings produced during his time there. Fairweather left China permanently in 1936 but its legacy remained with him, infusing his art for the rest of his life. Signed l.r. corner, black (ink?) "IF". Not dated.